The introduction of the “Weekly Boarding in Indigenous Families” project is often a good starting point with local families to address further measures for community development. Food security and improving housing conditions are obvious priorities. The introduction of the “Weekly Boarding in Indigenous Families” project developed in many rural communities where the Fundación Pueblo is active a relationship of trust with and among the stakeholders. This is often an ideal starting point for further community development projects. 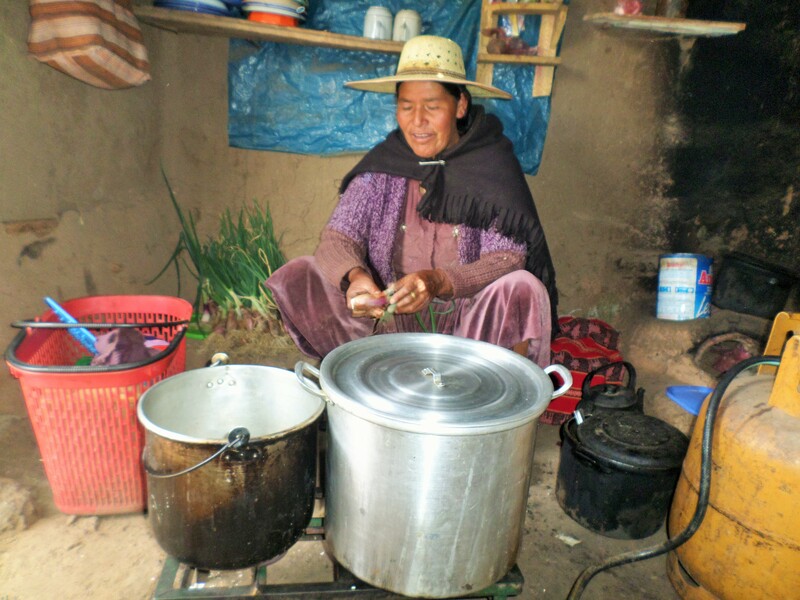 So in recent years we were able to support farmers in the student community Media Luna Pension district Ckochas (Potosí) in improving their agricultural production bases and income prospects. Other community development activities upon the foundation of existing student accommodation were – the improvement of the drinking water supply in the villages of the student accommodation of the district of Puna, – the improvement and equipment of traditional burners in the same district, and – the improvement and equipping of living spaces of host parents in the student board of Uyuni. 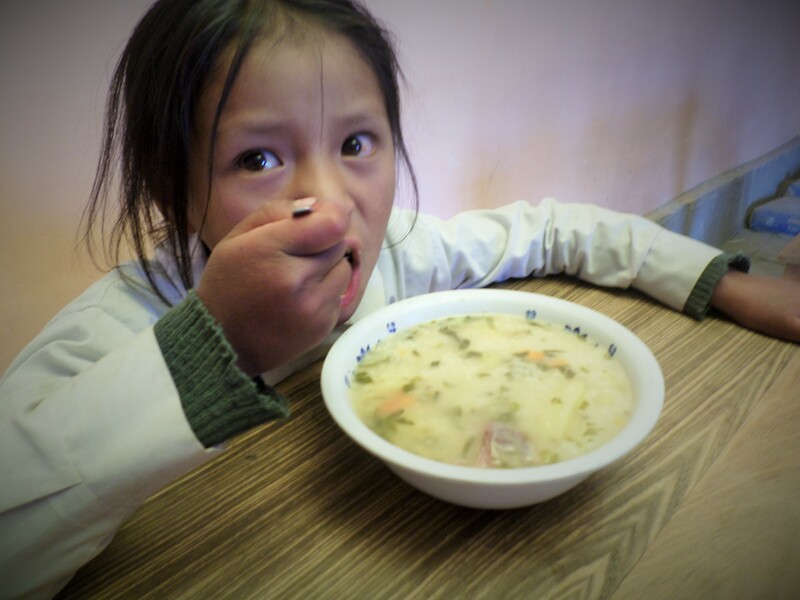 On the same basis, the project “Healthier Eating” works in the municipalities of the district of Llallagua (Nordpotosí), where a “Weekly Boarding in Indigenous Families” project is in operation. It has the objective to improve nutrition. The focus of the project lies in awareness and knowledge in the fields of nutrition and health, as well as the improvement of agricultural infrastructure to ensure the local supply of fresh food. This includes the construction of greenhouses, in which the host mothers grow their own vegetables such as carrots, tomatoes and spinach and who market surpluses in the neighborhood. In order to strengthen sustainability there are classes on site in which the women are taught in the construction and use of greenhouses as well as small animal breeding. To anchor the value of healthy eating in the community and the awareness of the project participants, live practical seminars are provided on food security and quality, such as cooking classes with specially designed recipes in consonance with the local food supply.